Actuators Island Components designs and manufactures high performance small electromechanical rotary and linear actuators in addition to precision motors, brakes and clutches, gearheads, electronics and controllers. Our components are recognized for their dependability throughout the precision motion industry. Brushless Motors Our DC Brushless Motors (BLDC Motors) are designed for a broad range of high performance, high power and integrated assembly applications. We can also modify standard products to meet your specific needs. 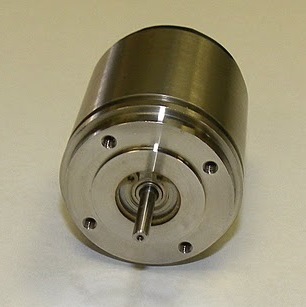 We also supply frameless brushless motors. Brushless Motor Controllers Brushless motor controllers are designed to efficiently control digital and analog circuitry. Along with a variety of brushless motor controllers, various feedback devices can be used to determine the motor’s position. Servo Motors Servo Motors, also known as induction motors, are available as both AC and DC motors. With new innovations, servo motors operate at a range of speeds without the risk of overheating or burnout. A separately mounted fan provides optimum cooling, extending the life of the motor. Brush Motors Though more efficient models are available with new advances in motor technology, brush motors can still perform comparably to a brushless DC motor through a high efficiency design. Based on the needs of your application, brush motors can be a useful and cost effective choice. Motor Generators Motor generators are practical, effective devices that convert energy. They may be combined with other components such as tachometers, motor brakes and gearheads, and are specially designed for high torque actuation systems. Gearhead Motor Assemblies Designed for high torque in a compact size, gearhead motor assemblies incorporate spur gearheads and planetary gearheads for increased efficiency in a range of applications. Both spur and planetary gearheads are available for separate mounting to increase output torque. Failsafe Brakes Failsafe brakes, electromagnetic clutches, electromagnetic brakes and clutch brake combinations provide excellent response and reliability, reduced noise, asbestos-free design, and compact, high torque operations. Coil Windings Coil windings and stator assemblies are used by the military, aerospace and many other industries. Designed to be cost effective and dependable, our innovative coil windings enable us to achieve the highest quality standards. Synchronous Motors Synchronous motors and hysteresis motors provide efficient and effective solutions in a variety of military and industrial applications. Designed for smooth and constant velocity and durability, these motors provide abundant horsepower for the most demanding applications.